Watch the moment Diddy shouted out his ex. So much went down at the 2015 American Music Awards last night that it's hard to know where to begin. There were the awards (Nicki Minaj and The Weeknd picked up gongs), the performances (J.Lo slayed some amazing dance moves in an epic medley performance) and then there was the red carpet, where Kendall and Kylie showed off their latest looks. 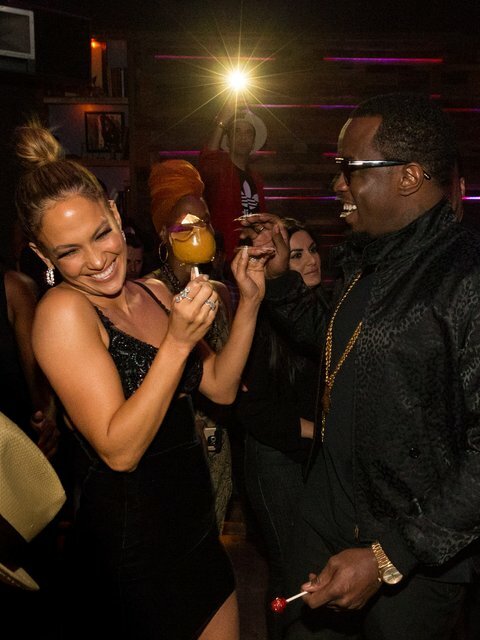 If all of that wasn't enough, wait for it, because the best moment of the night came - as it usually does - during the afterparty, when the show's host Jennifer Lopez was spotted partying with ex-boyfriend and millionaire rapper P Diddy. Earlier in the night Diddy shouted out Jennifer Lopez on stage and the crowd went nuts. It's like it's 1999 again. The world is ready for a Puff Daddy/ J.Lo reunion.